Myron Butler Talks W/ Gospelflava.com About The “Worship” Project!! 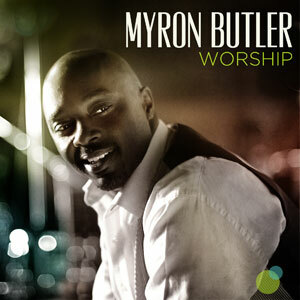 Myron Butler released his new project “Worship” on the EMI Gospel music label. It is his fourth recording effort and GOSPELflava.com’s Nakiyah Hayling and Martin Williams caught up with Myron Butler to talk about the new project. Learn about Myron Butler’s perspective on the musical production, the vision for the impact of the project in the Gospel music world, and the importance of worship in the life of the believer. GOSPELflava.com: We’ve seen your various musical styles and influences as an artist. What inspired you to do a worship album? Myron Butler: God had spoken to me about doing this type of album a long time ago and I was initially hesitant, but being obedient to God was most important to me with the album. GOSPELflava.com: What do you envision for the impact of this project at a time when many artists are producing projects heavy on the contemporary, urban, and pop sounds? Myron Butler: I want the impact to be that people have more personal worship experiences. We can worship in different ways, that’s why you hear different styles on the project, but it’s all worship. Understanding that worship happens while doing every day things is important. That’s what I want the impact to be. GOSPELflava.com: How important is worship to our daily lives? Myron Butler: Social media and other mediums can be a distraction and we can find ourselves neglecting time with God. We have to readjust our focus and truly place more energy on daily personal time spent with God. GOSPELflava.com: Deonis Cook served as one of the producers on this album. You’ve also worked with him on past projects. How would you describe the experience of working with him on this project? Myron Butler: Deonis is my little brother and he’s so talented and has worked on all of my projects.Deonis produced the remix of “Stronger” and “I Honor You As King” on this project and he has been such as asset to my projects. My band and team of musicians on this project include: me, Robert Seawright, Deonis, Paris Bowens, Troy Chambers, Maurice Fitzgerald, and Mark Lettieri. I have a great amount of respect for their musicianship. They are all talented guys that are sensitive to the vision. They definitely executed my vision excellently. GOSPELflava.com: “Bless The Lord” is proving to be the fan favorite of the album and is an anointed song. How did you all conceptualize the song? Myron Butler: The song was written by Freddy Cleveland of the group Brandon Camphor& One Way. I heard the song, loved the heart of it, and wanted to record it. I started out as a songwriter, so I want to support other songwriters. GOSPELflava.com: What do you want readers of the article to take away from this project and your presence in the Gospel music world? Myron Butler: I want the message of empowerment to stay with those reading. We have to always know who we are in God. Sometimes attention is misplaced and I want this project to get folks attention and provoke them to have a personal relationship with God. Good music is everywhere, but we have to remember the focus. Many are fed up with church and religion and we have to emphasize relationship with God at the forefront of it all. That is what you will hear and continue to get from Myron Butler & LEVI. We had a great time talking with Myron Butler about the “Worship” album. You can check it out at your music media outlets. This entry was posted on Wednesday, February 8th, 2012 at 2:53 pm	and is filed under Album Releases. You can follow any responses to this entry through the RSS 2.0 feed. You can leave a response, or trackback from your own site.